Welcome to the Alpha Talk Power Call! This is a weekly call to connect, inspire and empower enlightened minds to pursue a life of greatness. I am your hostess Ashley Taliaferro Today's Topic is "Blessed Is The Man Part 2" Hashtag #peacemakers. I present to you your speaker Hakim Taliaferro. 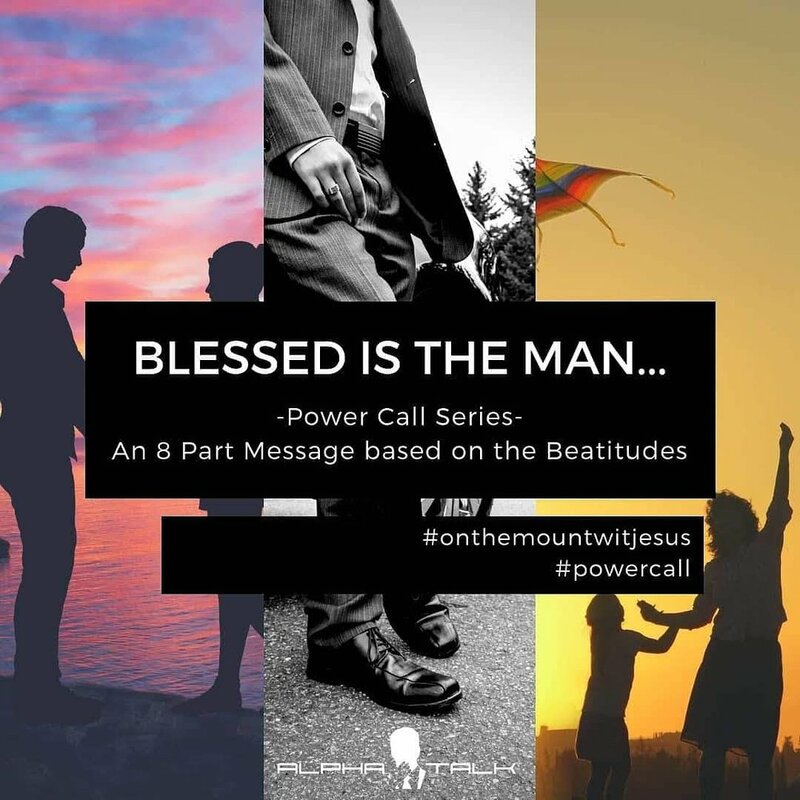 We will be doing an 8 part series based on the beatitudes, the famous Sermon on the mount in Matthew 5. The world is focused on trying to bring us to peace with the circumstances, but God is desiring for the world to be at peace with Him. - Peace between water and the Spirit. In order to truly be at peace with God, we must be born again. Our first birth is a natural birth through our earthly parents. Our second birth is spiritual through our Heavenly Father. - Jesus is the One who brought the original purpose of man back to him by reuniting him with His Creator. The world tries to get us to be one with our circumstances, but Christ makes us one with God. He was the perfect example of a peacemaker. 1. What makes my life unpeaceful? 2. When is the last time I can recall a really still moment in the presence of God? 3. How has my life brought peace to others? - Peacemakers are able to identify and appreciate (and help others to appreciate) differences. They are able to find ways for things to "join"